I’ve picked exactly 2 zucchinis from my garden this year. Yes, that’s them in the photo above. Given the cooler weather we’ve had this summer, it’s not surprising, but it is disappointing. 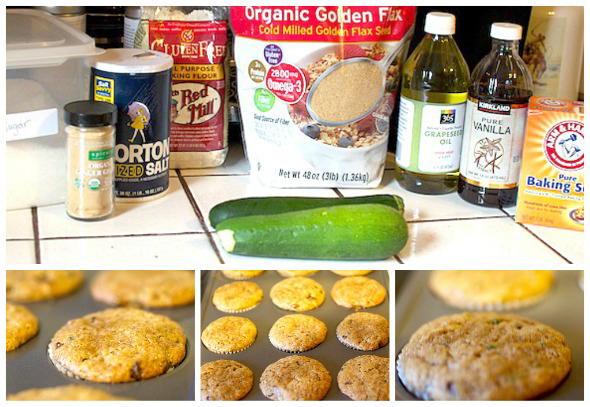 Instead of getting too down about it, I decided zucchini muffins were in order – vegan ones at that. 2. Line a standard 12-cup muffin tin with paper liners – I usually just spray my tins, but I happened to have 12 paper liners that have been sitting in my cupboard forever…so I figured it was time to use them up. 3. 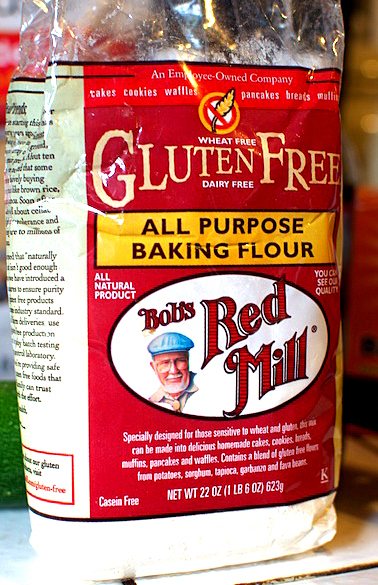 Mix together the dry ingredients in a large bowl and the wet ingredients in a small bowl, then stir the wet and dry ingredients together until the batter is smooth. 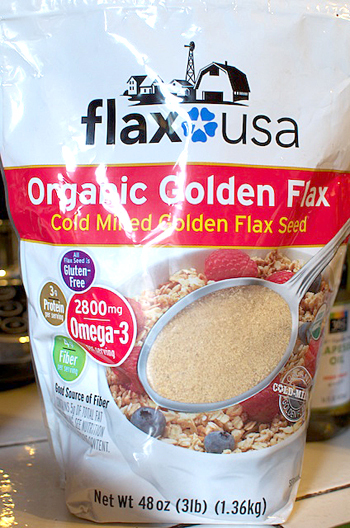 **Now, here is where I added a teeny bonus to my recipe. 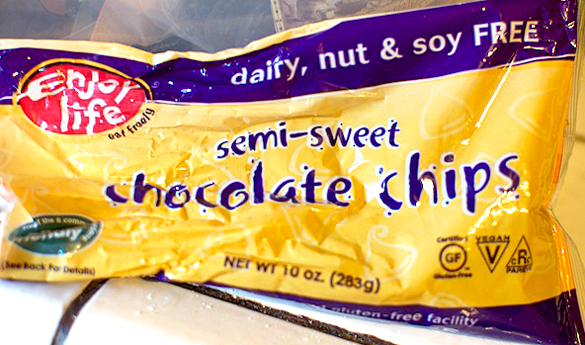 Just for kicks, and as my friend Kristiann had mentioned to me that she had recently added these to her muffins, I mixed 1 cup of vegan chocolate chips into the batter. Not a necessary step, but a fun addition. 4. 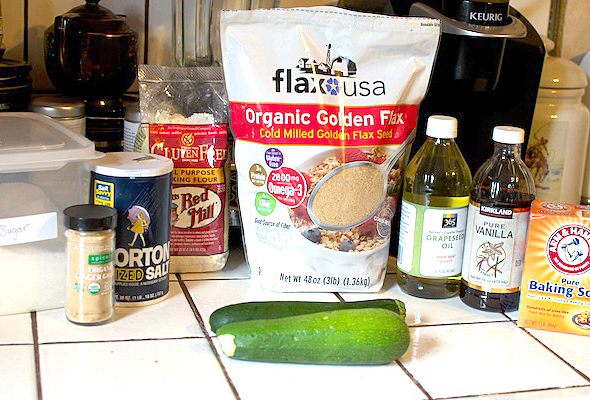 Gently fold the shredded zucchini into the batter making sure it is mixed in evenly throughout. 5. 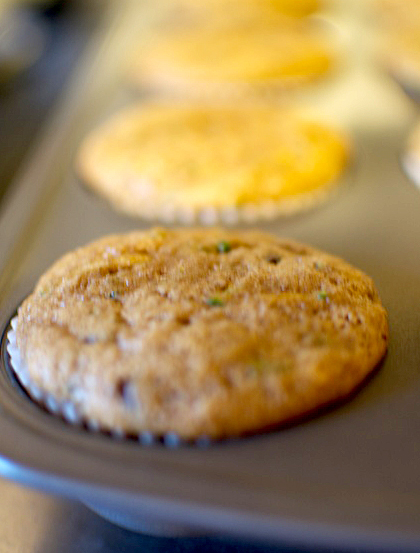 Pour 1/3 cup batter into each muffin tin. 6. Bake on the center rack of your oven for 18 minutes, then rotate the tray 180 degrees and continue baking for 10 additional minutes. 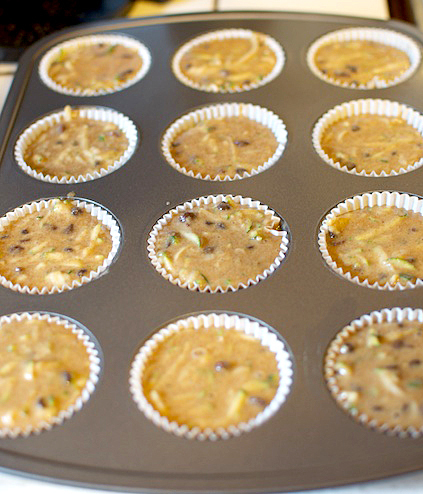 The muffins are finished when a toothpick (or cake tester) inserted into the center of one comes out clean. 7. 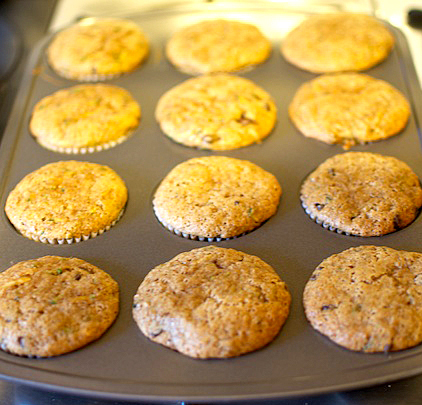 Let the muffins cool for 10 minutes in the tin and then transfer them to a wire rack for complete cooling. Enjoy – and try not to eat them all in one afternoon! I’m gonna have to try these, they look tasty! Thanks!!! they were so yummy..maybe the chocolate chips???? though I think they would’ve been yummy anyways. Next up…pumpkin muffins for Fall!! Wish I could dive into my screen to have a piece of those muffins. Thanks…I could tell they turned out super yummy because my hubby ate 4 of them in one sitting :) I think I now have to make some more!